C1 – innovative and advanced implant by MIS intended for doctors, who prefer to work with connical implants. 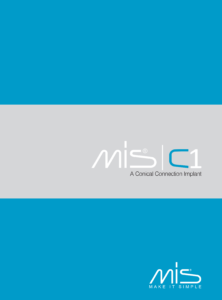 Featuring a 6-degree conical connection that ensures a secure fit between abutment and implant, the C1 minimizes micro-movements reducing bone loss at the crestal level. 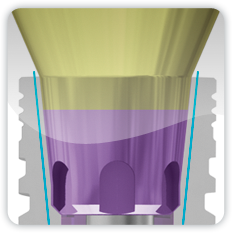 It has is a six-position cone index within the conical connection to help orient the implant during insertion as well as placing the abutment into the proper position. 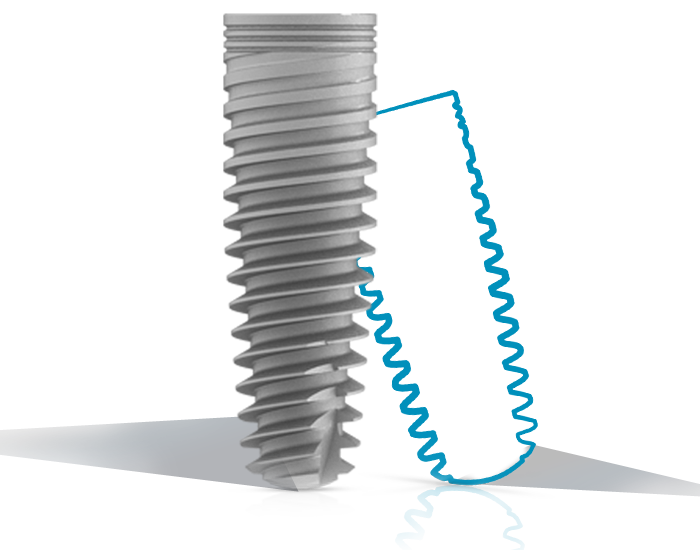 The C1 dual thread design increases the BIC (Bone to Implant Contact) over the entire body of the implant. 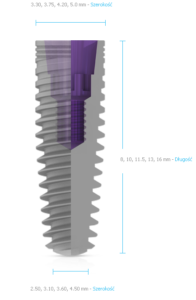 The dual thread doubles the implant insertion rate (1.50mm), facilitating a simpler and faster implant placement. Color-coded system is designed to simplify identification of the implant platform during reconstruction. 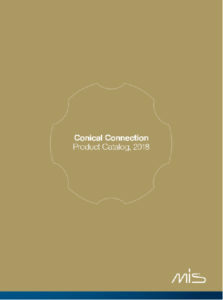 Implant C1 comes in a complete package, which gives the physician the choice between a one-step or two-step procedure. 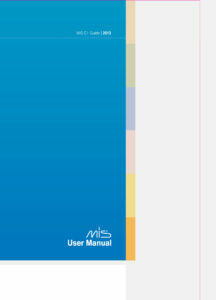 There is also included a pillar for temporary work options for selecting the provisional prosthetic direct devotion. Domed Cutting Apex: The C1 features a domed apex, providing a high tolerance and safe procedure during insertion. Two cutting blades at the implant apex establish the self-tapping properties of the C1; supporting a simpler, safer and faster procedure. Micro-Rings: At the neck of the C1, micro-rings significantly increase the BIC (Bone to Implant Contact), avoiding bone resorption at the neck. 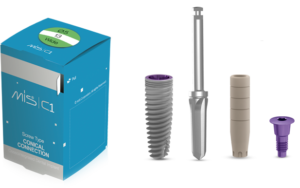 Platform Switching: The C1 features platform switching, that keeps the implant-abutment connection away from the bone; minimizing bone resorption. Platform-switching additionally allows more vital growth of the soft tissue. Surface Treatment: C1 implants are sand-blasted and acid etched. These surface treatments increase the implant surface area by creating both micro and nano-structures and eliminating various surface contaminants. Along with a thorough cleaning process, the acid etching ensures a surface of high quality and purity. 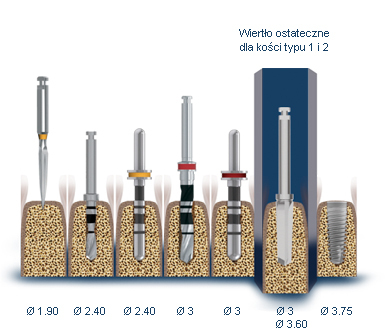 The combination of sand-blasting and acid etching has been proven to substantially maximize the BIC (Bone to Implant Contact) in numerous clinical and scientific studies. It also creates osseoconductive morphology, achieving superb osseointegration results compared with other surface treatment methods. 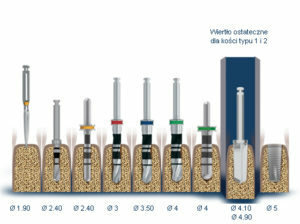 Final Drill: Each C1 implant is supplied and packaged with a sterile, single use, stainless steel final drill. The drill is custom-made, in accordance with the implant geometry and design; achieving an osteotomy to perfectly position the implant. The final drill offers a simpler, easier and safer procedure; increasing success rates. 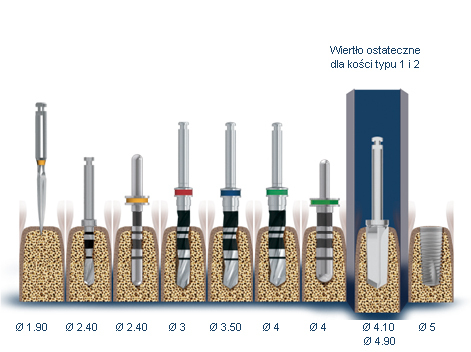 Color Coding: A convenient platform indicative color-coding system is built in to every C1 implant and its prosthetic components, for easy identification during procedures. 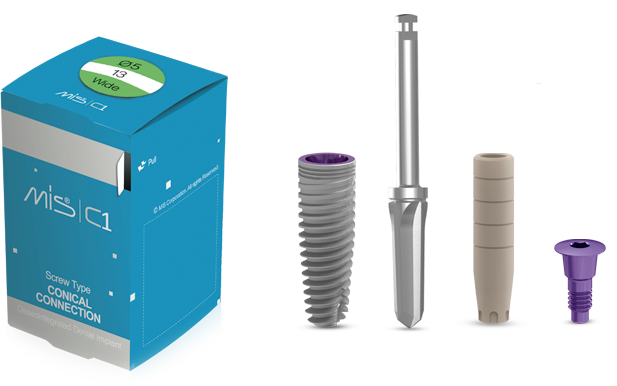 Packaging: The C1 package contains a final drill, cover screw and temporary peek abutment. Whether for a submerged procedure, one-stage procedure or immediate loading, this package provides the clinician with the freedom to choose which procedure to follow in real-time. 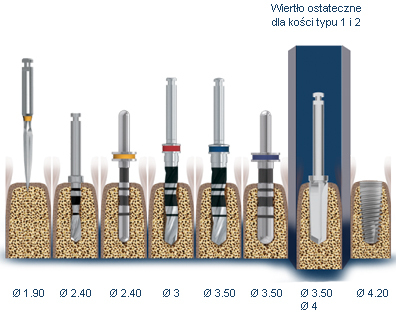 DSM (Dual Stability Mechanism): Based on the unique geometry of the implant, along with a specially designed final drill, the C1 offers a Dual Stability Mechanism (DSM). 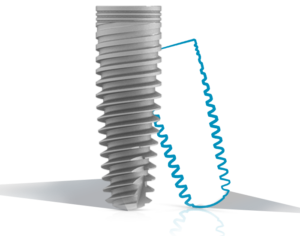 The DSM combines the benefits of high primary stability with an accelerated osseointegration process, minimizing the DIP. 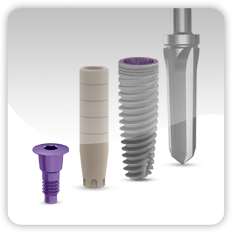 Enabling moderate compression of the bone at the top 2/3 of the implant body, the conical geometry provides an immediate mechanical primary stability, while the apical 1/3 enables rapid bone growth, minimizing stability loss during the first weeks after surgery. 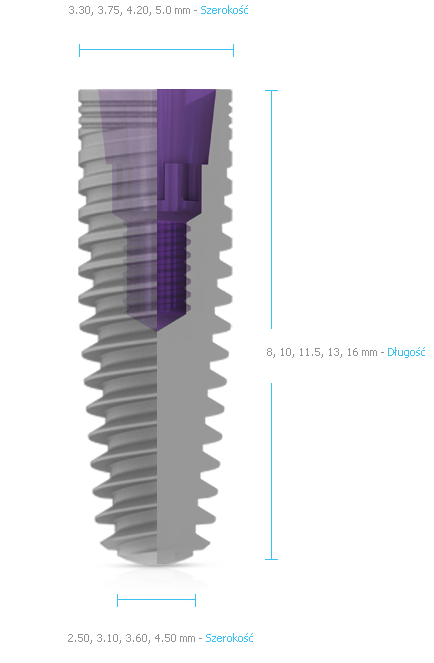 The secondary stability mechanism is achieved through the differential drilling, that forms specially designed ‘compartments’ between the implant thread at its apical part; up to one third of the implant body. 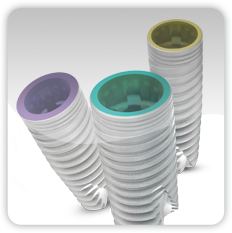 These ‘compartments’ prevent bone compression around the area of the implant, providing an ideal habitat for accelerated and sustainable bone growth and osseointegration. 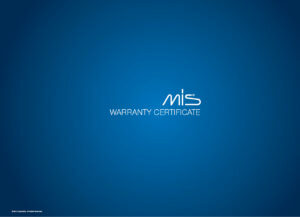 Raw Materials: All MIS implants are made from Ti-6Al-4V ELI (Grade 23), the higher purity version of Ti-6Al-4V. 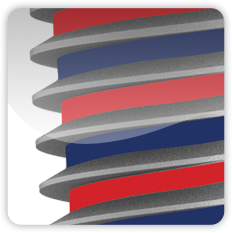 This specific type of alloy combines biocompatibility, excellent fatigue strength and low elastic modulus. These benefits make Ti-6Al-4V ELI mechanically superior to titanium grade 4 and the ultimate dental and medical titanium grade. Similarly to commercially pure titanium (Grades 1-4), the outer surface of all MIS implants are comprised of a thin layer of pure titanium oxide (TiO2).